A few of the many Hannahs from As One, clockwise from top left: AOP World Premiere (Brooklyn, NY), UrbanArias (Arlington, VA), West Edge Opera (San Francisco, CA), Pittsburgh Opera, International Opera Projects (Berlin, Germany), Seattle Opera. 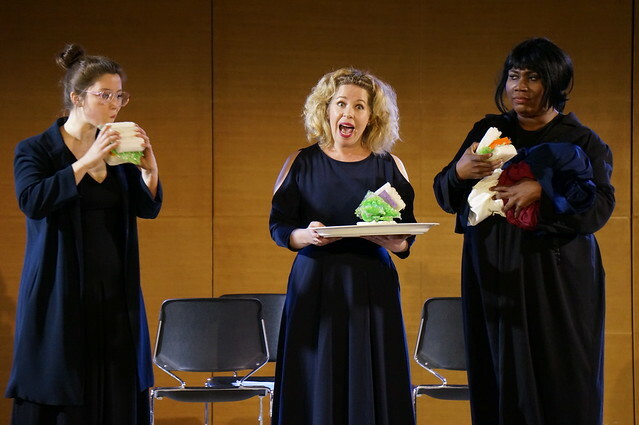 Laura Kaminsky, Mark Campbell, and Kimberly Reed’s chamber opera As One was the 14th most-performed opera in the United States and Canada in the 2016-2017 season according to the Winter 2018 issue of OPERA America magazine and the only opera in the top 25 written this century. As One was commissioned, developed, and premiered by American Opera Projects at BAM Fisher Center in Brooklyn, NY in September, 2014, and has already been performed by over 15 different opera companies throughout the United States and beyond. New productions of As One were performed this month at Lyric Opera Kansas City, Hawaii Opera Theatre, and Boston Opera Collaborative. It will next be seen at Anchorage Opera Feb. 9-11, 2018. AOP is proud to announce that it has been awarded an Innovation Grant to expand its composer-librettist training curriculum to academic music-theater programs, serving as a potential model for other schools and conservatories. AOP’s training curriculum was pioneered with the creation of Composers & the Voice in 2002. Conceived by C&V’s current Artistic Director Steven Osgood, AOP’s in-house training program will enter its ninth season in Fall 2017. C&V brings together emerging opera composers and librettists and professional opera singers in private workshops to learn the craft of writing for the operatic voice and stage. 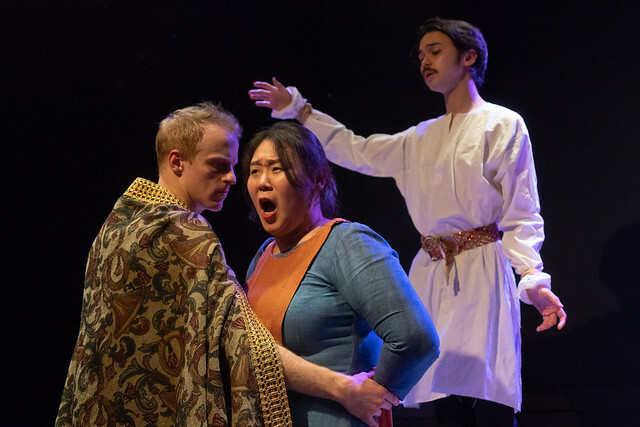 The curriculum was adapted by C&V composer alum Randall Eng in partnership with AOP in 2015 to create the Advanced Opera Lab for students in the NYU/Tisch Graduate Musical Theater Program. The Innovation grant will continue this trajectory by supporting the codification of a curriculum for schools and conservatories that rarely provide opportunities for learning composition for the voice. 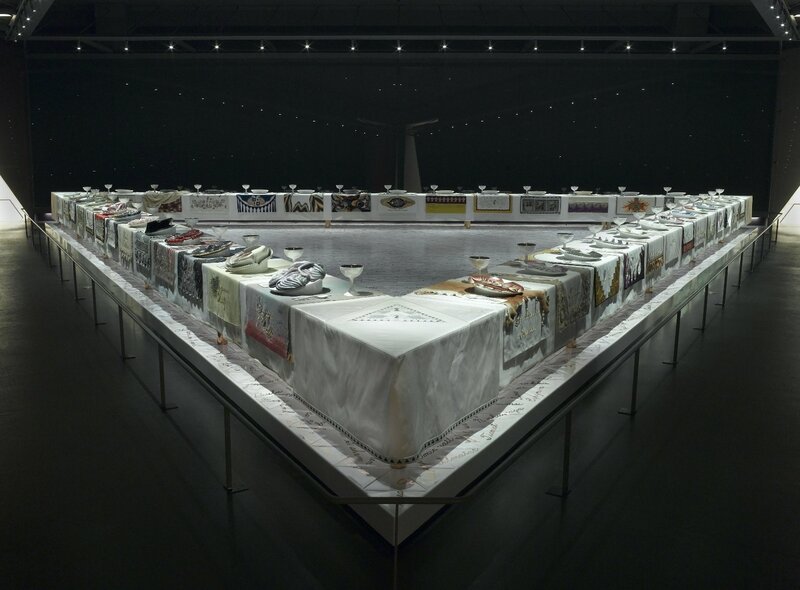 In addition, the grant will support the creation of six new site-specific works on the theme of “New York Stories” that will emerge out of the partnerships between AOP and these institutions. AOP was one of 27 opera companies around the nation to receive Innovation grant awards from the organization. Launched last fall, OPERA America’s Innovation Grants support exceptional projects that have the capacity to strengthen the field’s most important areas of practice, including artistic vitality, audience experience, organizational effectiveness and community connections. These grants invest up to $1.5 million annually in OPERA America’s Professional Company Members, enabling organizations of all sizes to increase their commitment to experimentation and innovation, as well as contribute to field-wide learning. 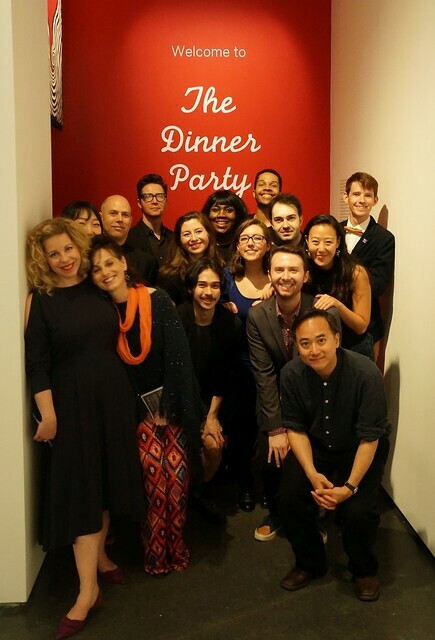 NYU/AOP Opera Lab Cast, Creators, Designers, and Instructors at the May 14 performances of their opera scenes. International House, NYC. Photo by Steven Pisano. NYU/AOP Opera Lab “Final Round”. International House, NYC. Photo by Steven Pisano.